This thick and thirsty toddler hooded towel will be a welcome addition to your bathing routine. 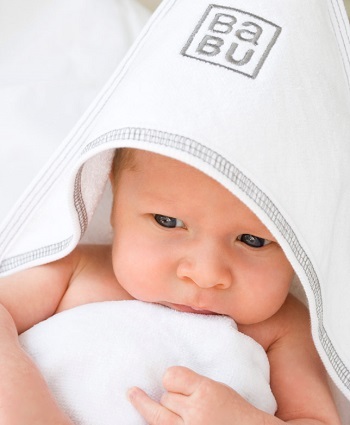 Young ones lose so much heat from their head after bathing, so keep them toasty warm with this 550gsm towel. In GOTS organic cotton, you just can't go wrong, especially with a price like this! Your toddler will love wrapping themselves in this after bathtime! Team up with our facecloths for the perfect gift. Lovely soft terry toweling. Perfect size for the bigger baby or toddler. This towel is perfect for the cooler months. I wish it came in adult size! Bought these for my baby so they will last as she grows. They are nice and big so I can wrap her up cozy and they are super soft. Also LOVE that they are organic and the natural oatmeal colour.